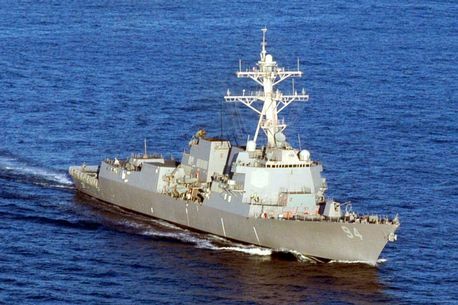 Two Iranian vessels came within 300 yards of a US destroyer in what has been branded an "unsafe and unprofessional" incident. Four vessels from Iran's Islamic Revolutionary Guard Corps "harassed" a US destroyer yesterday by carrying out a "high speed intercept" in the vicinity of the Strait of Hormuz. A US Defense official revealed the incident this evening. The official, speaking on the condition of anonymity, said two of the Iranian vessels came within 300 yards of the USS Nitze. They described the incident as "unsafe and unprofessional".